Three more bodies of martyred soldiers, buried under the monstrous avalanche at Siachin’s Gayari sector have been recovered by the search teams on Tuesday, bringing the total number of bodies recovered so far to 110. According to ISPR, efforts are underway to establish the identity of these three martyred soldiers, by an already present on-site team of NADRA experts. 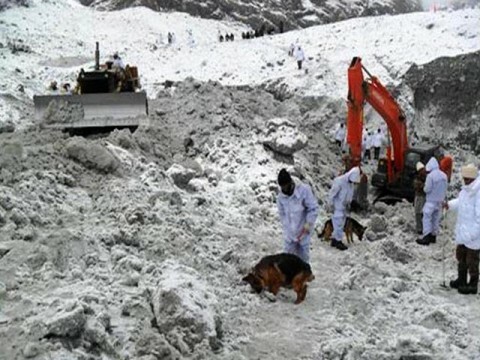 The ISPR spokesman said that search for the rest of 29 bodies are underway and would continue till recovery of all the bodies buried in the snow avalanche. A huge wall of snow crashed into the remote Siachen Glacier base high in the mountains in the early hours of April 7, smothering an area of one square kilometer (a third of a square mile), trapping 129 soldiers and 10 civilians at the Gayari camp and since then hundreds of personnel and dozens of heavy earth moving equipment were busy round the clock to locate those. This introduces a plsaeingly rational point of view.